Highly innovative, engineered, smart, modern modular boxes. 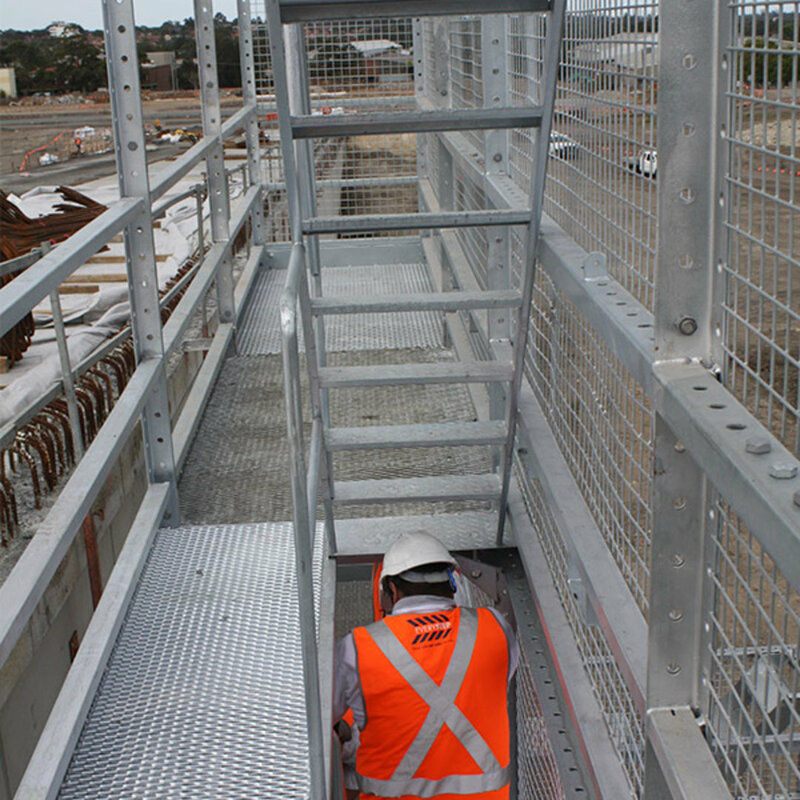 Pre-assembled OFF-SITE offering superior safety using non-slip decking, double handrails, kickboards on both sides and external mesh, eliminating the risk of fall. 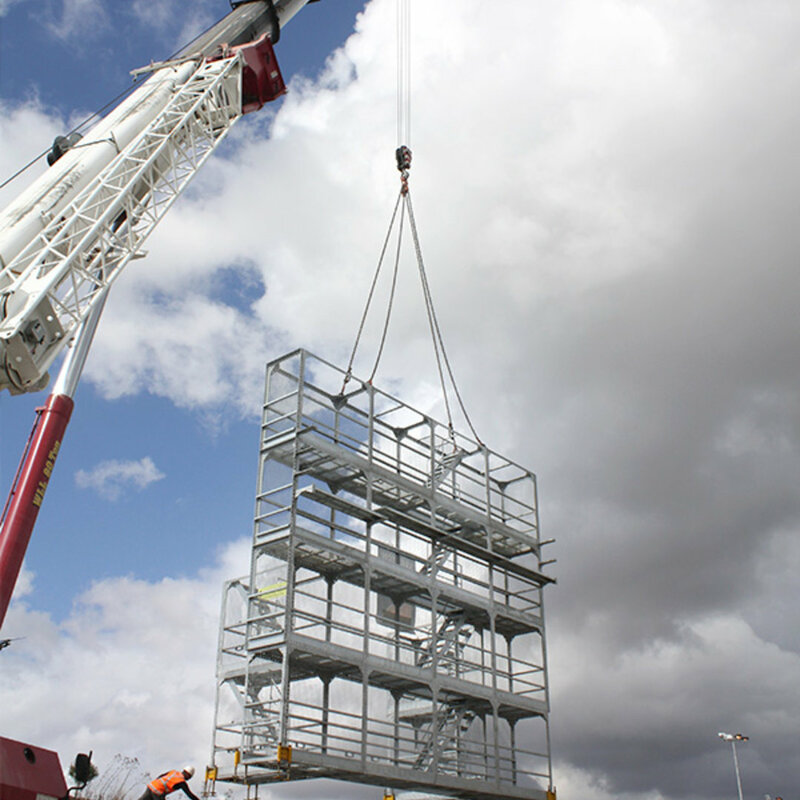 Delivered to site in one piece, ready to lift and ready to use - saving you time and money by greatly reducing costs, labour and time on your project. 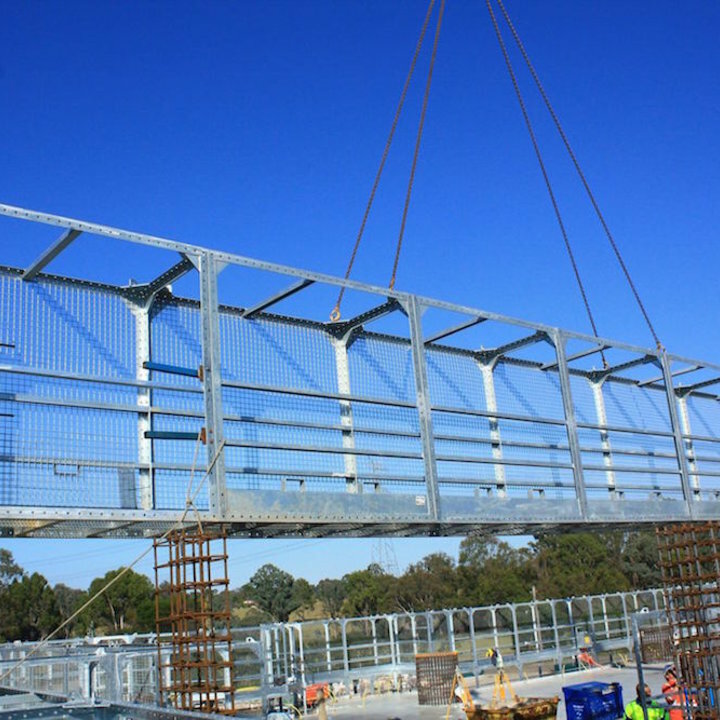 Preston will assess your project and deliver the best possible solution by custom designing the layout of boxes to suit your project requirements. Preston understands that time and productivity is critical on site, therefore we make our clients' life easier by pre-assembling the boxes at our premises and deliver them to your site, ready to be lifted in one go and ready for use. Installed anywhere from an hour up to 1 day. 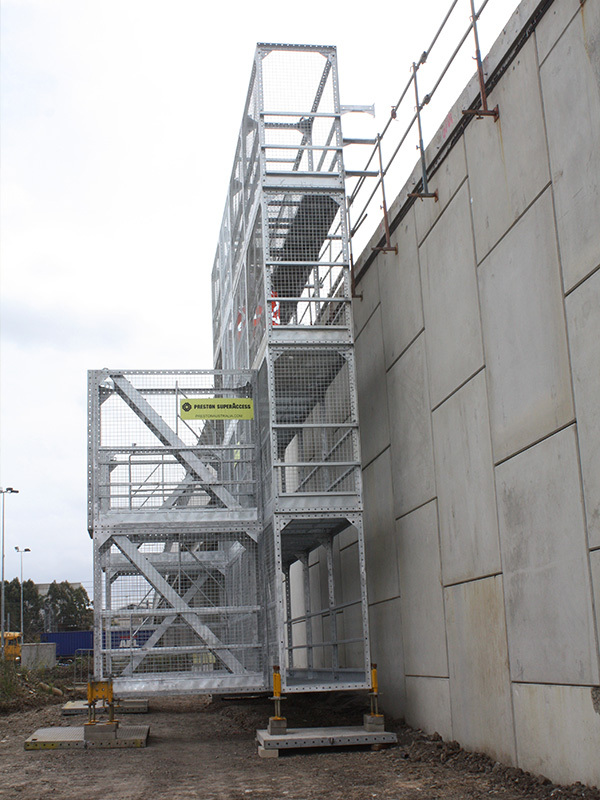 Super-fast, super-safe and cost effective, replacing traditional outdated unsafe system scaffolding. 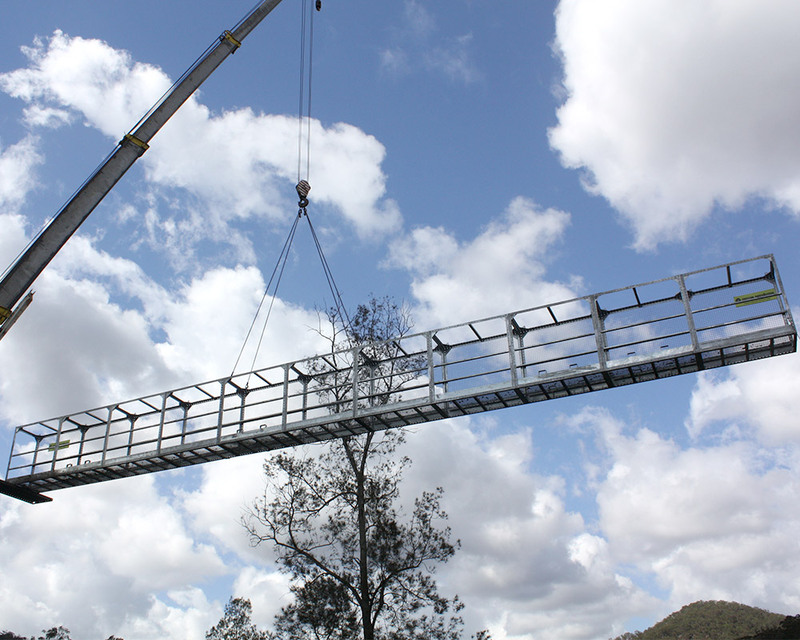 Length from 11.2m (24m²) to 22.4m (48m²) long sections can be lifted directly off the truck, into position and ready for use. One lift can be achieved in 15 minutes or less. 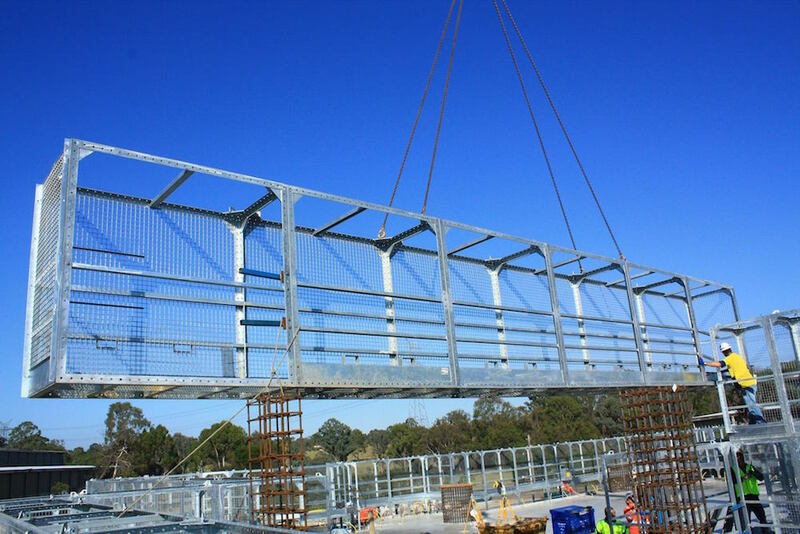 We can design a scaffold with NO TIES to the structure or building or we can design special ties and other tieing means to reduce the number of ties to the building. 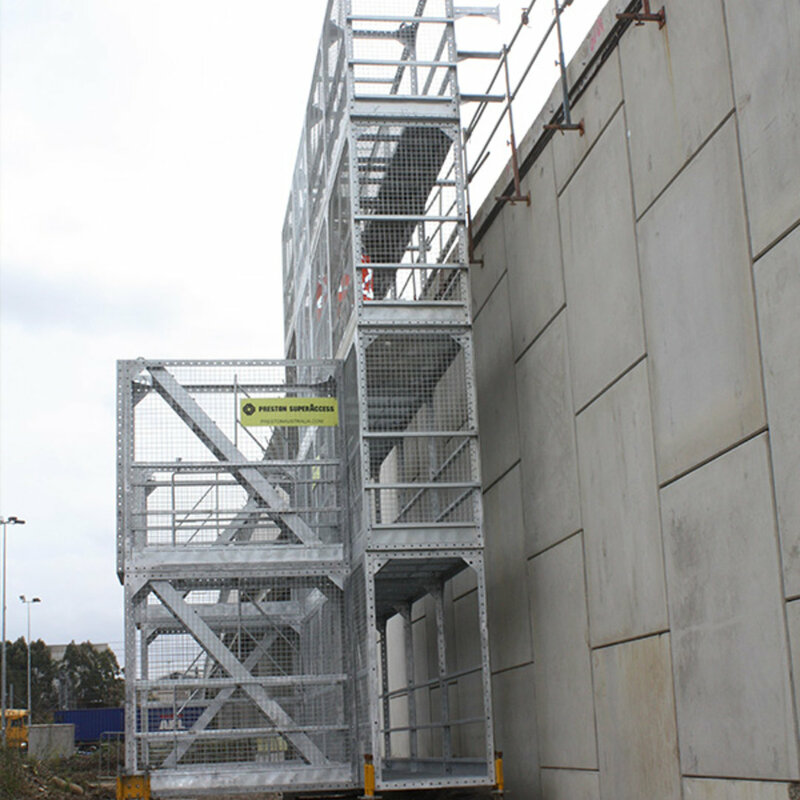 The superAccess Structure/Scaffold can be installed to full height of say 30m before the building is built. This will save our client time and money. 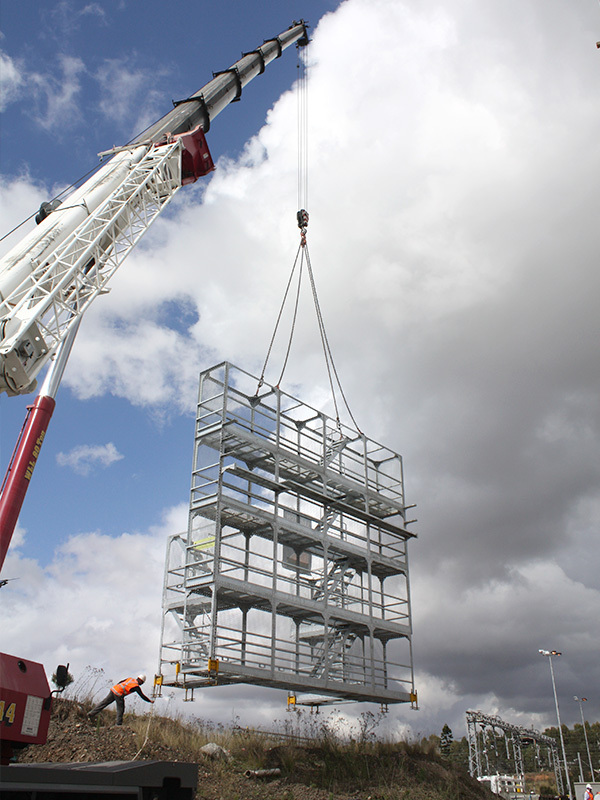 No storage on site required, clear access, no further labour required. 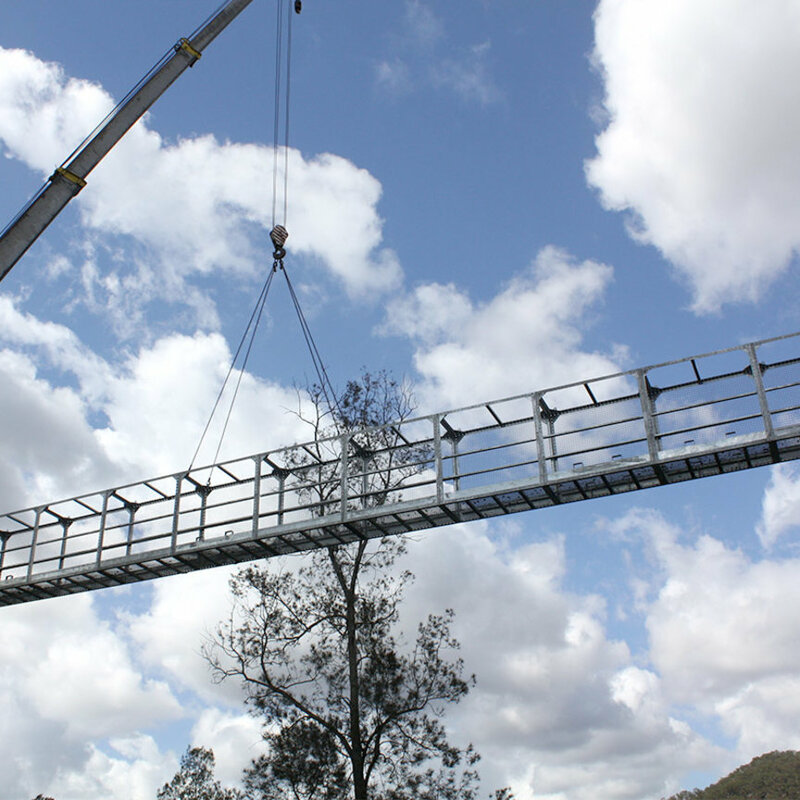 The benefits and productivity gains to our clients are endless. 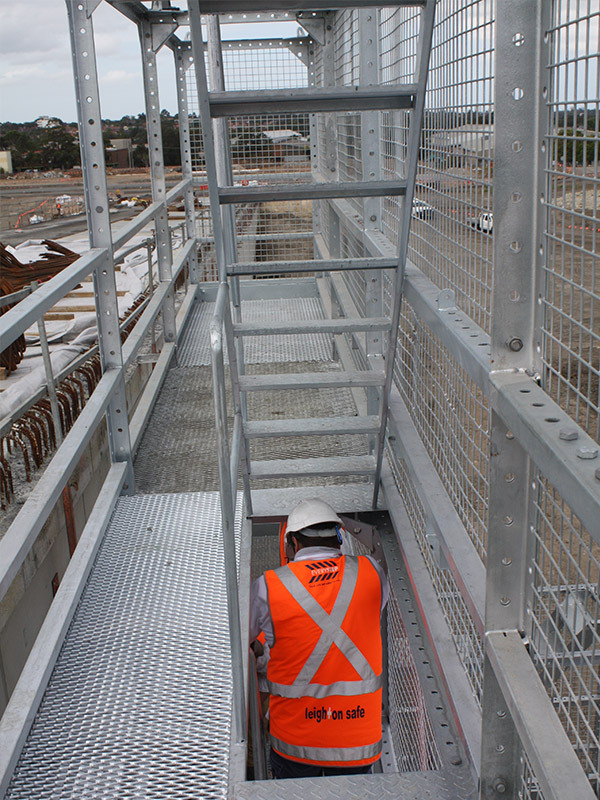 Preston Structure/Scaffold can incorporate loading platform, rubbish chute, ablution, toilet and amenity facilities on the scaffold.